Gearing up for another year! With the addition of the second convoy last year we were all looking for a break over the Holiday Season. Now that we have come to the end of January we are starting to get things organized for 2015. We are always looking for team members especially with two convoys in the mix. If interested … Continue reading Gearing up for another year! We have a few new faces joining our Team Cure committee John Fraser, Sabrina Hirani & keith McCaslin we welcome you all to our driving force. 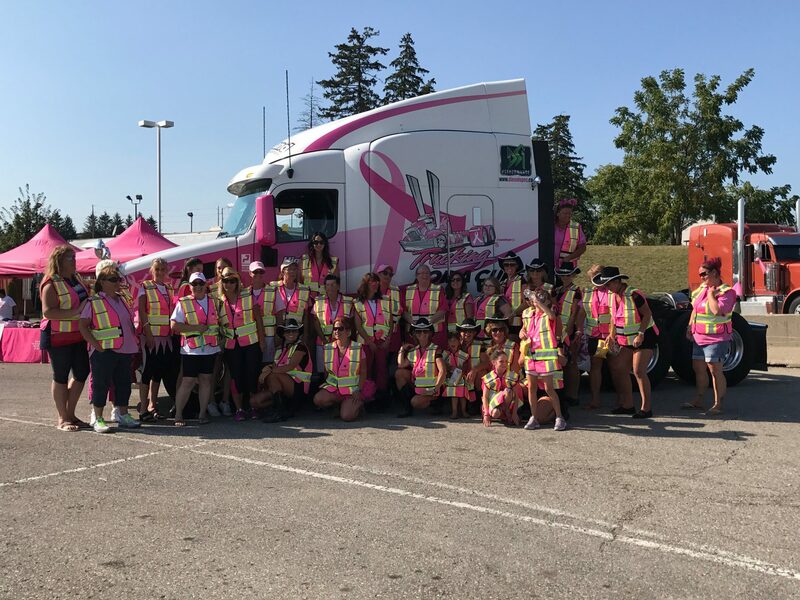 Keith also a fellow driver at Highland, has put decals on his truck with the foundation pink ribbon & our Trucking for a Cure name & looks amazing! At the gala awards on April 27 2013 volunteer role model Shayla Barker spoke about why she became a volunteer and the amount of commitment required to be successful. Check out her guest speech here.